Gain muscle, and take your training to the next level. If you’re trying to build muscle and sculpt a physique, you know that you need more volume than you did when you first started, but the trick is adding that volume intelligently — otherwise it’s just “junk” volume. This six-day bodybuilding training program is designed specifically to help trainees “graduate” to a full, proper 6-day program. Trainees who have never tried a 6-day bodybuilding program before. Trainees who have tried a 6-day program, but found it was too much and they couldn’t recover. Trainees who haven’t been getting the results from their current programs. Personal trainers who don’t want to give their clients cookie cutter programs. Anyone who wants to expand their knowledge of program design. The program in this book is a 15-week program, comprised of three 5-week cycles. It uses the famous 5X5 rep scheme, but balances that with 1) hypertrophy-focused work and higher rep schemes, and 2) weeks of active recovery built right into the program. The book contains two versions of the program: the regular version, and an “advanced” version you can return to later on. Is this program only for bodybuilders? Anyone can do the program; you don’t need to be interested in the stage to get a lot out of it. Is this for natural trainees? Yes, all my programs are. Both. The program will work for men and women; it is designed for those who want to sculpt a better physique. Someone who doesn’t have six days per week to train — plain and simple. Put another way, the answer to “Well, can I do this program, but only do it three days a week?” is “NO.” This is a six-day program. The recovery time, the density of training, and so on, only work when you do the program as written. Also, if your goal is to “get strong,” or increase your 1 rep max, this program is quite possibly for you. You will get stronger on the program, but that’s really not its primary goal. Depending on the trainee, the program might be what a strength-focused trainee needs, just in terms of changing it up, but that’s not guaranteed. Again: it’s for those who want a balanced, aesthetically pleasing physique. How do I know I’m ready for this program? Briefly, you should have some experience training four days per week or five days per week. For example, don’t jump straight from a 2x/week program like “Starting Strength” into this one. But you canjump from most traditional bodybuilding split programs into this one. 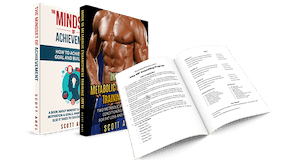 Buy your copy of Your First Proper Six-Day Bodybuilding Training Program now and get more out of your training.